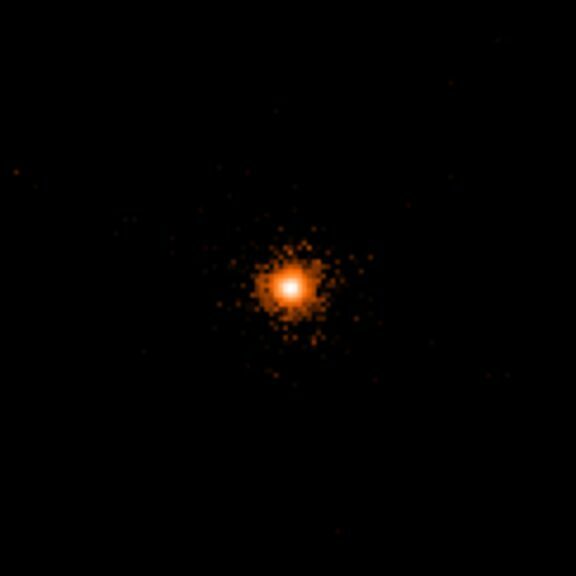 Fixed star Deneb Kaitos, Beta Ceti, is a 2.0 magnitude orange star in the tail of constellation Cetus the Whale, or Sea monster. Even though classified as the beta star of Cetus, it is in fact brighter than α Cetus, Menkar. 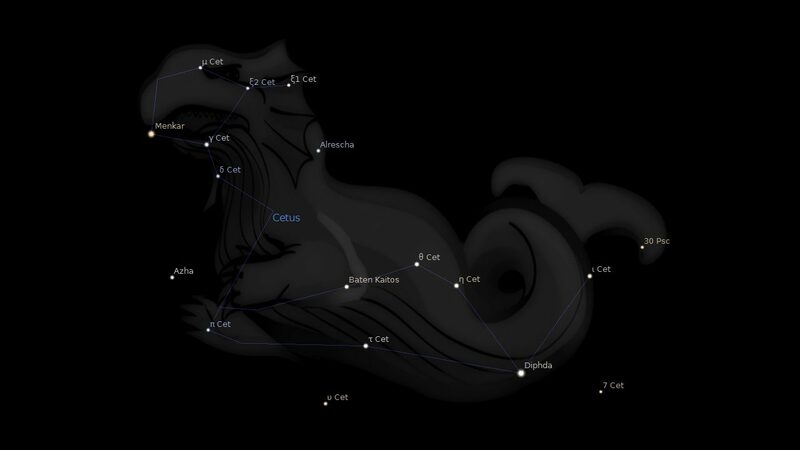 The traditional name Deneb Kaitos is from the Arabic ألذنب ألقيتوس ألجنوب (Al Dhanab al Ḳaiṭos al Janūbīyy) which means The Southern Tail of Cetus. It has the alternative name from an earlier Arab source: Difda, Frog, strictly the Second Frog, Difda’l Thaniya, the First Frog having been the star we know as Fomalhaut. In some cultures, frogs are said to be warners of what lies before us, probably because they inhabit bogs and croak at our approach. Fomalhaut os the star of the Divine Messenger Gabriel, generally announcing a good event to come, but a whale more often uses the slap of its huge tail upon the sea to sound a warning to its companions for several miles around it. Ptolemy gives this star the simile of Saturn, which fits the theme perfectly. 1. Fixed Stars and Constellations in Astrology, Vivian E. Robson, 1923, p.38, 185. 2. Fixed Stars and Their Interpretation, Elsbeth Ebertin, 1971, p.1. 3. The Living Stars, Dr. Eric Morse, 1988, p.122. 4. The Fixed Star Health and Behavior Imbalance, Ted George and Barbara Parker, 1985, p.9. Thanks so much for the feedback Maria. There is so little especially about interpretations for planets conjunct stars. The more comments the better for everyone. How this play if it is conjunct my natal moon? What do you think of Robson’s interpretation above? Could it be understood as how other people react to me when a planet activates by transit this star? Maybe Venus sextile Jupiter takes away any violent traits. Same with Sun conjunct MErcury improving communication skills to avoid arguments. That”s just a quick scan of aspect. All the other fixed stars have to be taken into account. Where there are contradictions you can work out which factor is the stronger. Hey, sooo It’s conjunct my saturn and now i’m scared that i’m going to go blind hahahah, guess i better be a good person right? Hello. Any ideas if we find this star on our descendant? Hhmm.. I have this fixed star conjunct my natal Chiron 2°33′. This year is my Chiron return. Bad? does not begin to describe the chain of events. I feel like I die every day, feel like I will literally die soon. Jezi, wow, me, too – this fixed star is conjunct my natal Chiron at 2°25′… which is retrograde, and intercepted, and conjunct my North Node, to boot… And I’m also in my Chiron return year… Please know that you’re definitely not alone in this torture… I can relate… Stand strong… Do not let this overcome you.